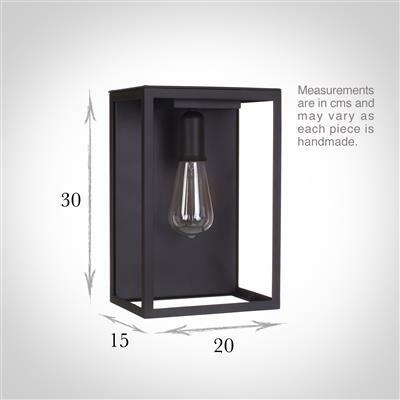 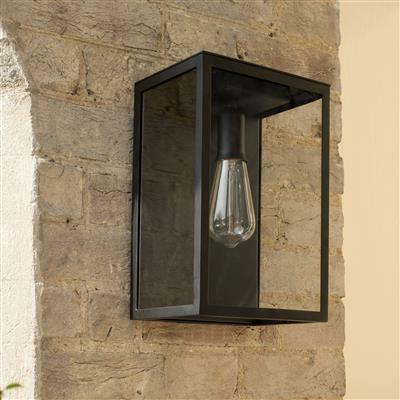 A stunning rectangular outdoor wall light, with simple, understated elegance. 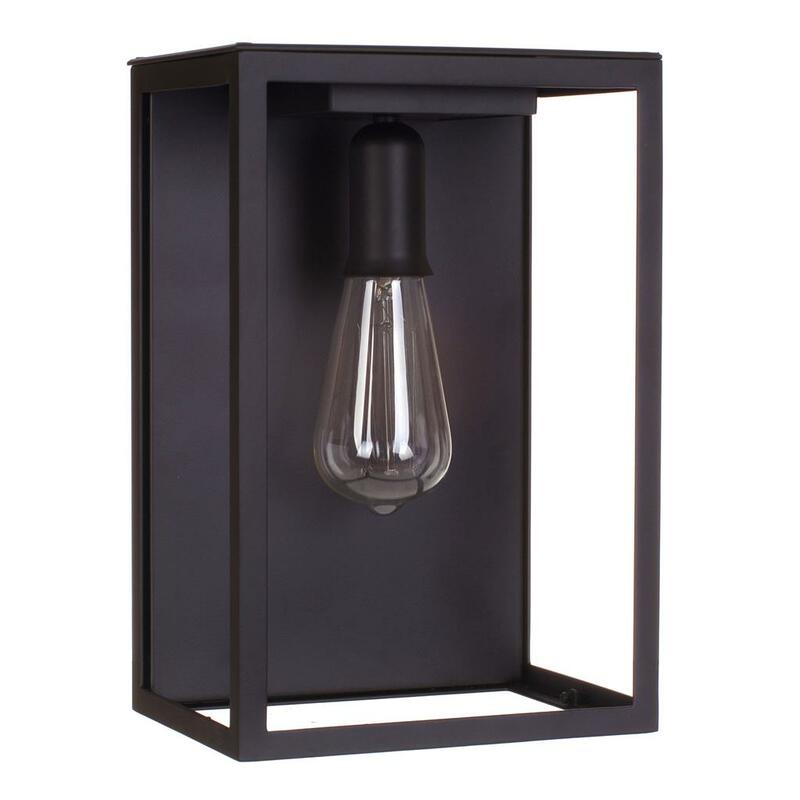 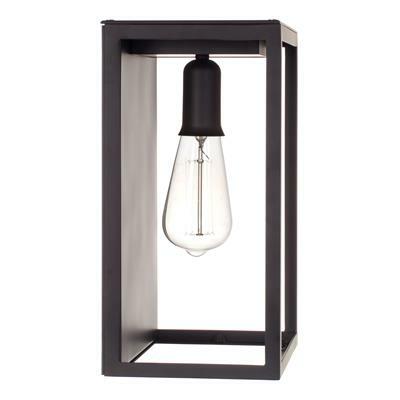 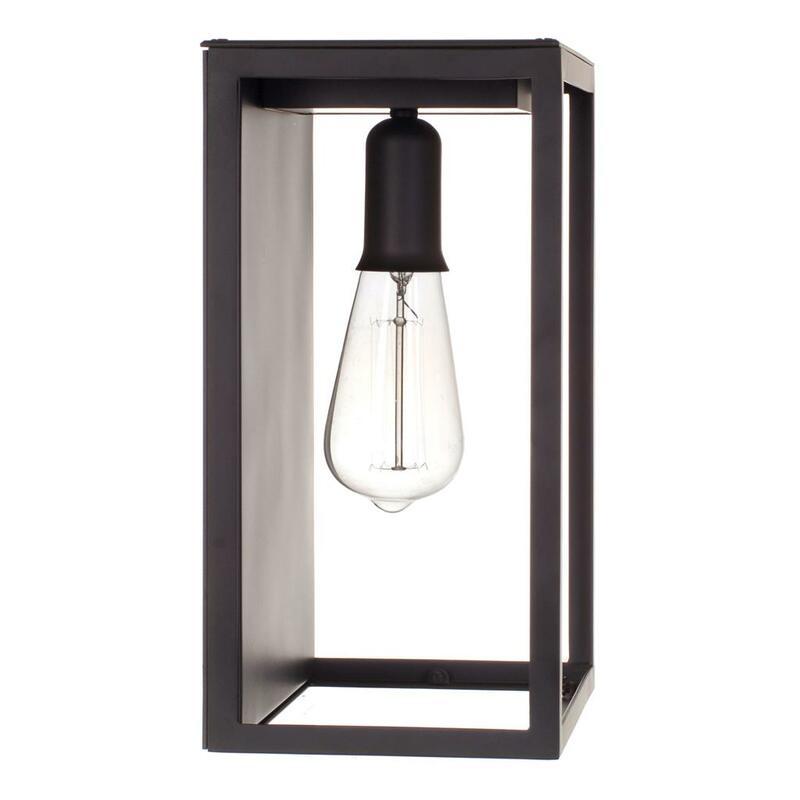 Made by hand from solid brass and clear glass, this minimal yet beautiful light is given a contemporary feel as its finished in our striking matt black paint. Perfect for an exterior wall or porch. 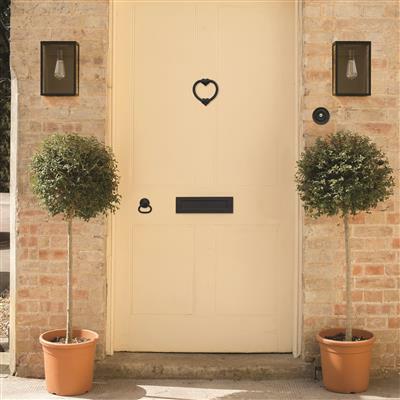 Renowned for its non-corrosive properties we use solid brass in this design as it has fantastic durability that will stand the test of time in any garden. 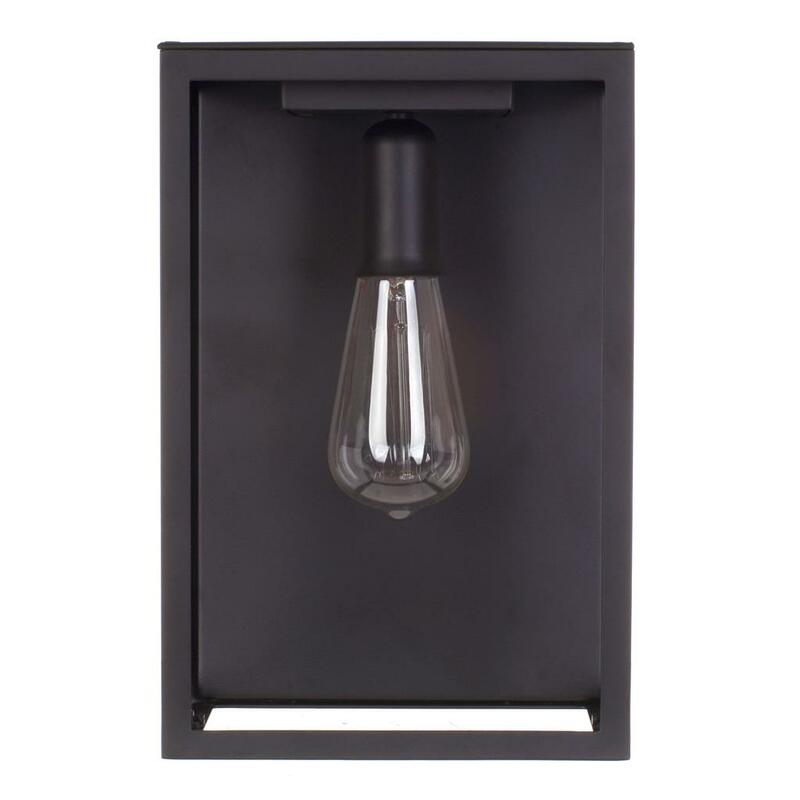 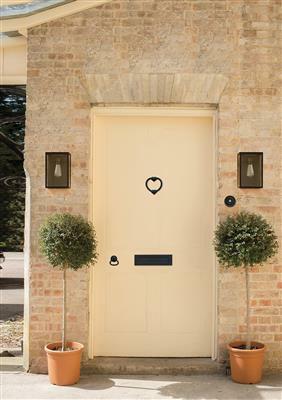 It is then hand painted in Matt Black to achieve a simple, elegant matt finish. 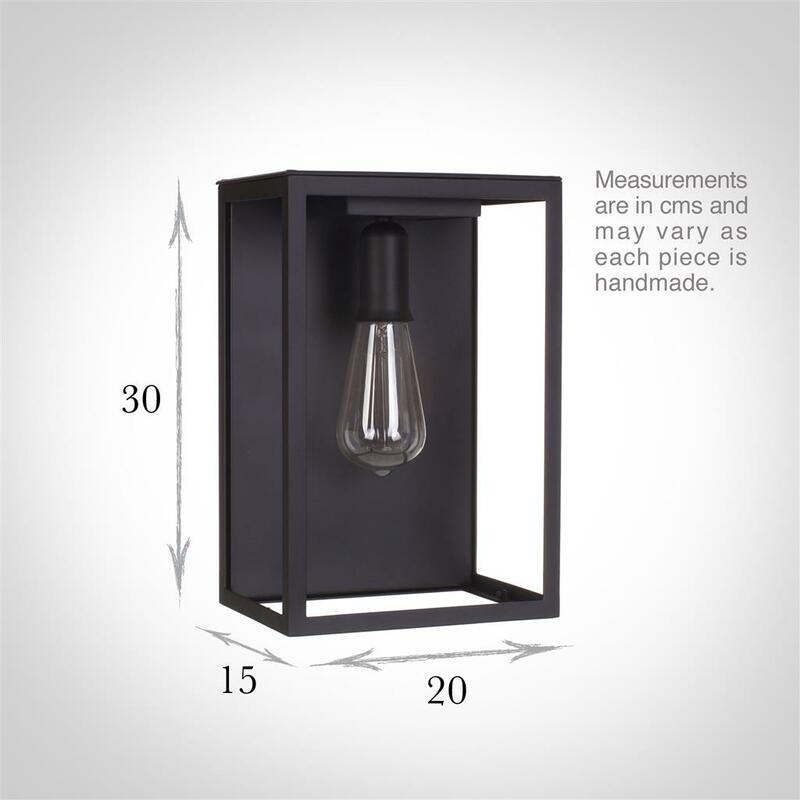 Bulb Fitting Options: Can be supplied with an E27 (large edison screw) bulbholder for Europe, please call us for information.